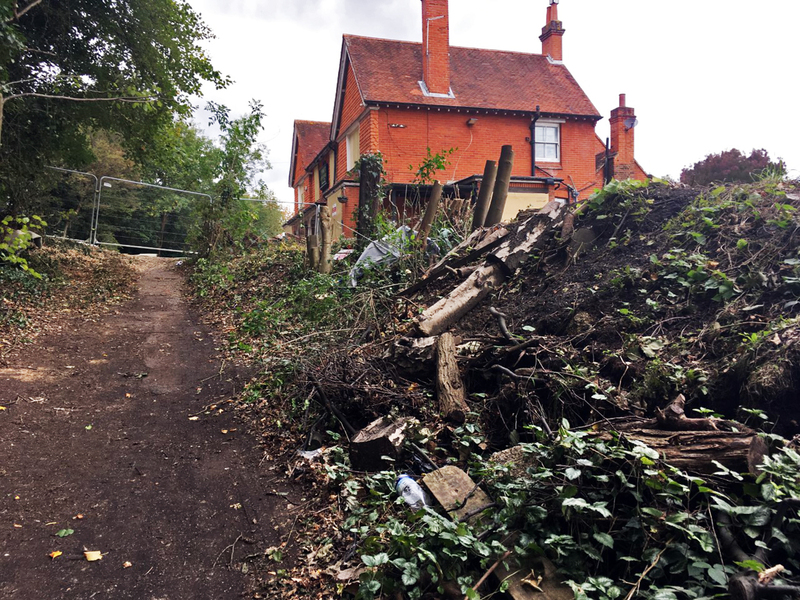 THE developers hoping to build housing and community transport facilities on the site of the Robin Hood pub in Knaphill have been forced to stop work on the site after wrongly assuming they could demolish the existing building and later apply for planning permission. Instructions to stop all work were issued by a Woking Borough Council planning officer after complaints by residents of Robin Hood Road. The News & Mail reported two weeks ago that the developers intend to build flats, including affordable homes, and parking and office facilities for the popular Bustler community buses. The developers is Rutland (Woking Ltd), a joint venture between Rutland Properties, based in Cranleigh, and the WBC-controlled Thameswey Development. Rutland (Woking) has bought the property, which was listed for sale at £900,000. A local resident, who asked not to be named, said that they were very alarmed at developments on the site, where trees have been felled and land cleared.